Named after the first family in fishing, the Pro Angler fits perfectly into the highest selling volume category in the fishing boat game. 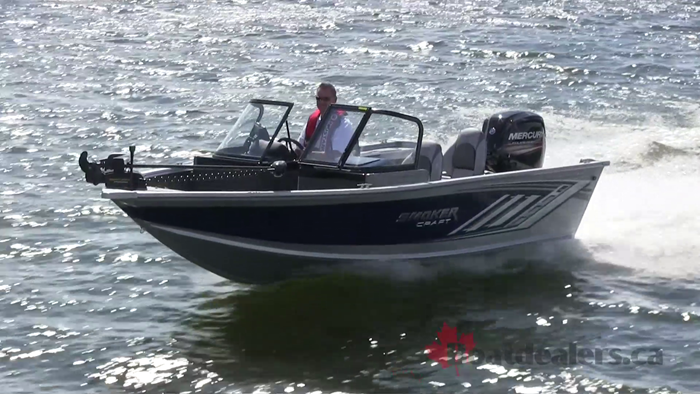 For years consumers everywhere have loved the versatility and trailer-ability of fishing boats this size which easily allow them to experience new waters and fresh fishing grounds and at a sparse dry weight of only 1,350 lbs the Pro Angler hits the sweet spot. She’s got a great blend of functionality and comfort and for 2018 she’s had a complete face lift featuring lots of new styling. The integrated gunnel track system wraps all the way along port and starboard gunnels allowing you to set up your accessories exactly the way you like. 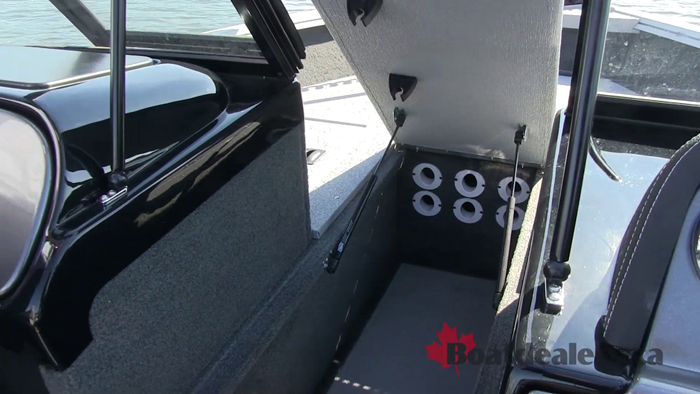 She features bow and stern aerated live wells and plenty of safe and secure rod storage lockers. 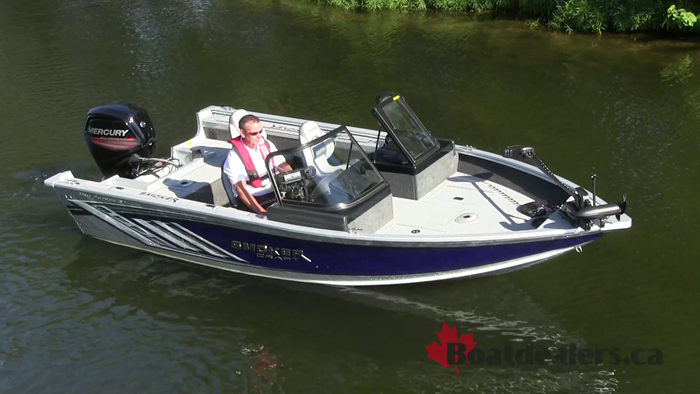 The Pro Angler is factory standard with 3 plush seats including a slider on the helm seat and a total of 6 seat bases for you to choose from when you’re on the water. 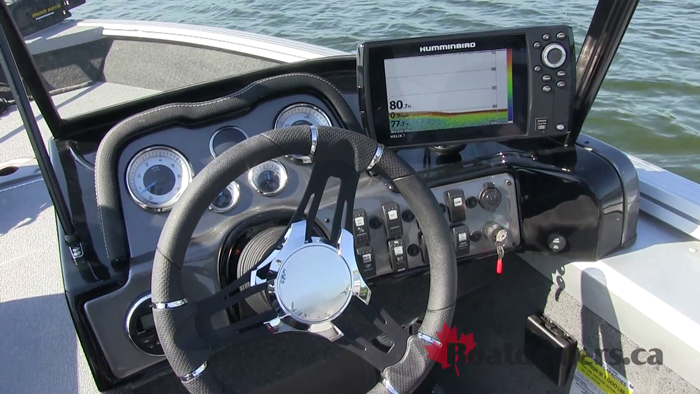 The curved walk through windshield is tall and strong allowing us to fish in the early and late cooler weather parts of the year without freezing on the way. And with 25” of free-board the Pro Angler offers a great sense of security when we are out there teaching the next generation. 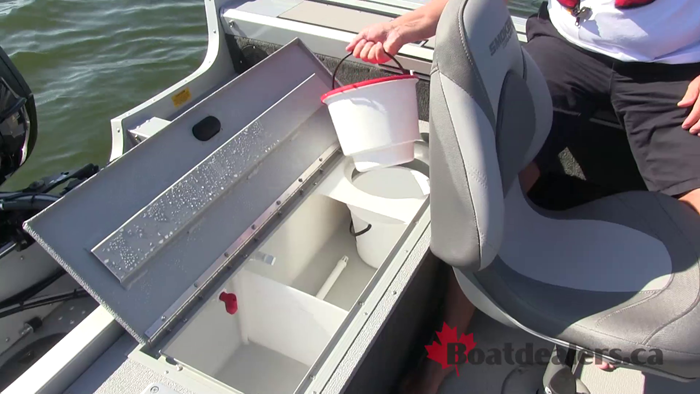 The molded in spray rails are a functional part of the hull design, not a bolt on like some other designs and they do a great job of keeping the water where it belongs. 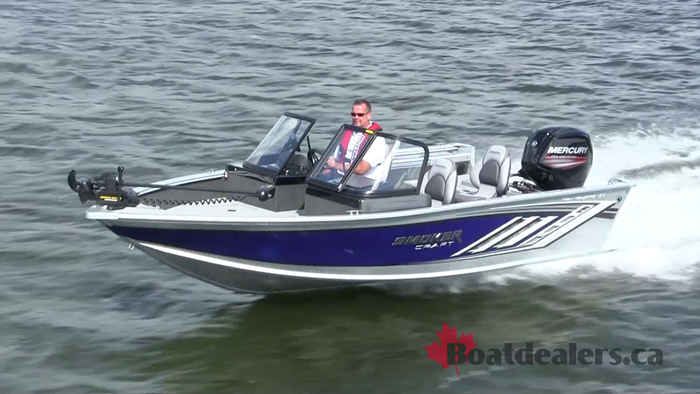 The injected foam flotation provides a sense of strength and gives the boat a very solid feel on the water. Smoker craft even snuck in a composite design stern light so there’s no more bending aluminum stern lights! 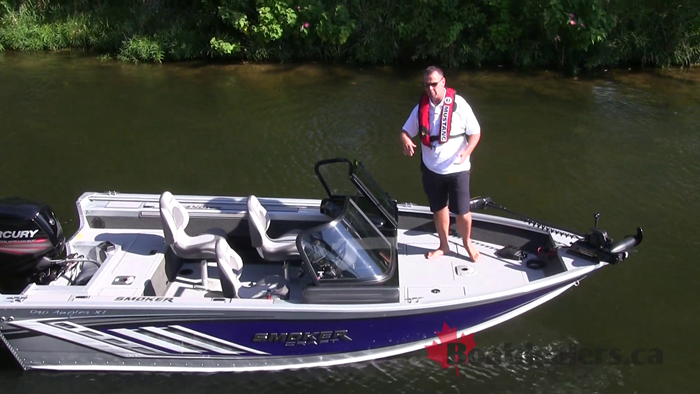 If you’re goal is to find a 17’ fishing boat that is functional, comfortable and fun to drive then the Pro Angler is a must stop on your shopping list.